This is part 2 of our series dedicated to the rebuild and restoration of a classic Chevy Chevelle. We are excited to show you the progress we have made on the Chevelle restoration over the past couple weeks. To see part one of this series, click here. Recently, some of the most important under-the-hood improvements were made as our techs work to wire up the audio, lights, and electronic systems to make the car road ready. In this update, we have included a couple photos of the wiring as it happens and a video of the Chevelle engine up and running! In the photos above, you will see that we protected the car and coated the engine block. Once it dried, we were extremely excited to pull of the protection and see this beauty in its recognizable form! Video Above: Chevelle Engine Fired Up! As you can see, we have installed the audio controller, and placed it into its housing. Where this type of wiring can get messy, we are very happy with our tech’s ability to keep everything neat, organized, and compact. 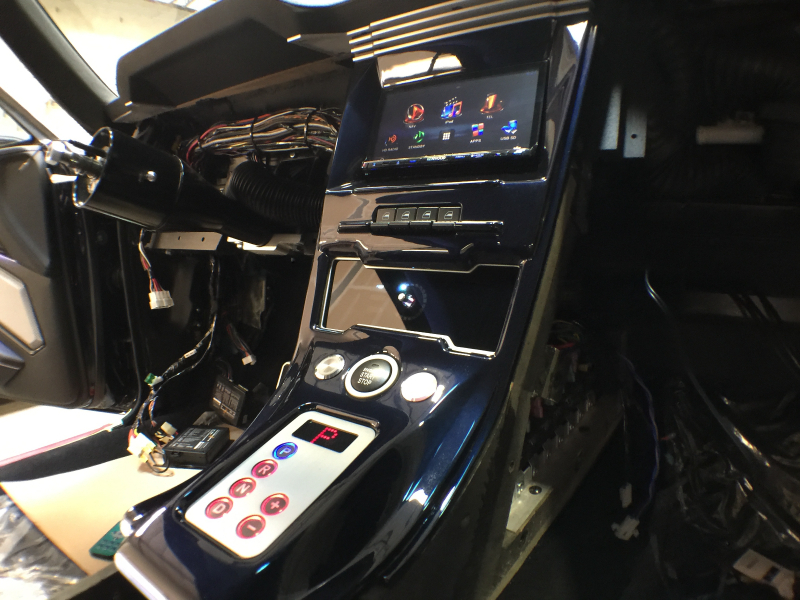 In the photos above, we first wired in the center console / controller unit and verified its function. Then we snapped it into place! Finally, we have set in the headlights and wired them up to function properly. Overall, the car is really starting to come together and we could not be happier with the progress we have made. Much work is still to come with this restoration. Tune in over the next couple weeks to see what we have in store! Next Post An Inside look at Findlay Customs’ facility!